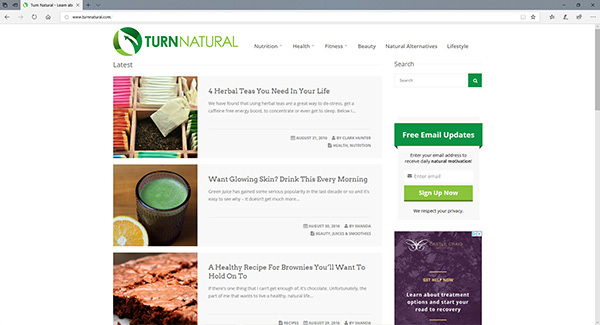 Our latest site was for Turn Natural, a site dedicated to healthy living. The client required a modern looking responsive website that looked fresh and clean. The client is very happy with the result have a look.